The Department of Artisans found ANTHILL and Anya Lim (Founder) during our travels in Cebu, Philippines. Without a doubt, Anya's strong passion to restore traditional craft through fashion was contagious. We traveled through to communities of weavers and saw the joy and livelihood this craft brought to many women in this country. ANTHILL (Alternative Nest and Trading/Training Hub for Indigenous/Ingenious Little Livelihood Seekers) is a cultural and social enterprise that supports and establishes community weaving enterprises. The organization provides market access and transforms existing resources, homegrown skills and living traditions into innovative and contemporary lifestyle products. In this hub, fabrics are more than just ingredients to fashion; it is a way of life, it is where culture meets style. Their mission is to celebrate Filipino identity through heart-woven cloths. The diversity of their weaves, their weavers and their artisans form the tapestry of who they are. 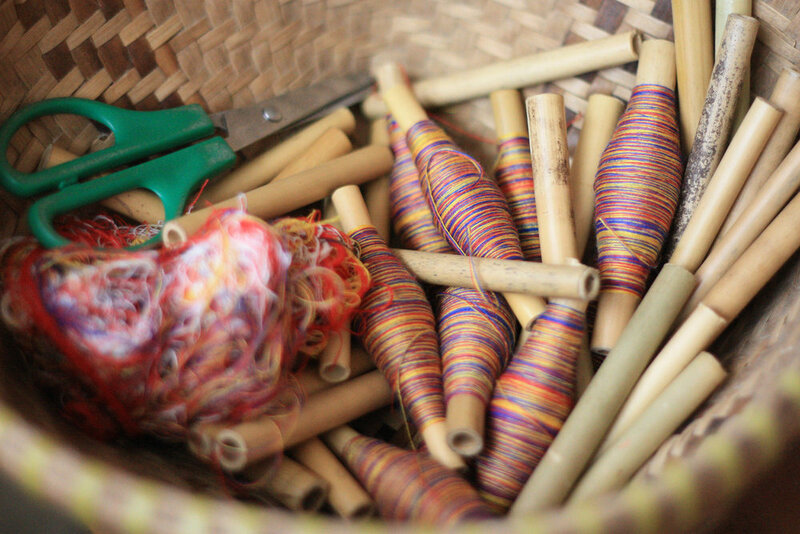 ANTHILL preserves and promotes the Filipino weaving community of hand-loomed fabric traditions and applies them to contemporary lifestyle products accessible to all. ANTHILL works with three direct artisanal communities around the Philippines in three major islands that represent three sectors in society - rural, urban, and indigenous. These are Mang Abel Ti Abra, The Daraghuyan-Bukidnon Tribe, and the Handcrafters of Mary Enterprise (HOME). Their Community Enterprise Development Program is something we stand by and support through our working relationship with Anthill. An early intervention approach is executed to increase the understanding of cultural preservation and promotion. Artisans are required to establish a savings account and are educated on proper spending, budgeting and the value of investing. Training sessions are held to educate artisans on color trends and fabric application, techniques, and new designs. Mentors discuss capacity building to educate communities on basic accounting and business management skills. Includes quality control standards, proper product costing, and relationship building. An incentive of 20% added income is given to Master Weavers who teach younger weavers their technique and craft.